Rice is a cereal grain. It is produced in places with high rainfall as it requires plenty of water for its cultivation. 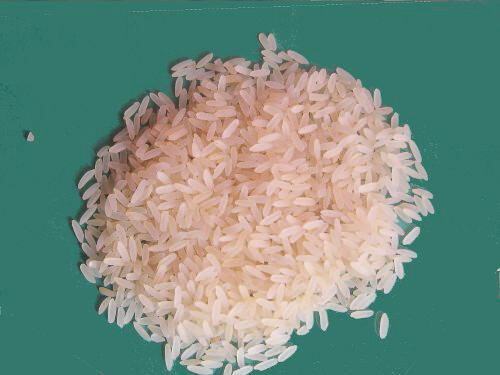 Rice seeds are usually 5 to 10 mm long and about 3 mm thick. It is a favourite staple food in Nigeria. 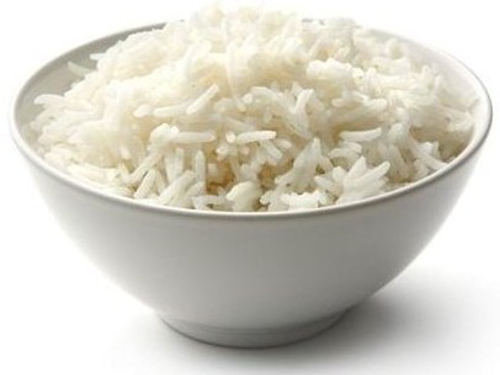 There are many varieties of rice but the most consumed variety in Nigeria is the parboiled long-grain white rice. Rice is mostly popular because it can be eaten with a wide variety of sauces. It is also used to prepare party recipes. This rice recipe with an intercontinental look and taste to it is prepared with vegetables and is one of the party favourites. Jollof Rice is a very popular rice recipe that is easy to prepare. It is mostly served during special occasions. This rice recipe has the added flavour of coconut milk which wakes up your taste buds. The plain boiled white rice recipe gives you the choice of a wide range of stews and sauces. A combination of these 2 staples is another tasty Nigerian Rice meal. Find out how 2 vegetables can transform an ordinary rice recipe into an exotic one. Concoction rice uses traditional Nigerian ingredients to tease your taste buds. Ofada Rice, served with Ofada Stew (Ayamase) is one of the spiciest Nigerian meals. This traditional recipe is from northern Nigeria where rice is over-cooked and mashed to make a meal eaten with Nigerian soups. Rice is abundant all year round. Even though significant quantities of rice are cultivated in Nigeria, tons of rice are imported into the country to meet demands. If stored properly, rice can last for very long periods of time. It is best to store in air-tight containers. This is to keep out dust, weevils and moisture. Cooked rice can be stored in the freezer for up to 10 days and it will still maintain its taste. Rice is readily available in the open Nigerian markets or food stores all over the world. Rice sold in food stores abroad come in sealed packets so watch out for expiry dates. When buying rice in the open Nigerian markets, you should check the rice for dust. If the grains are dusty, it means the rice has been in storage for too long and probably weevils have started attacking the grains. Also make sure that the grains are very dry rather than damp. During transportation, the bags of rice may come in contact with water. Rice is sold in 25kg and 50 kg bags. Sales in small measuring cups are also common in Nigerian street markets. If you are buying in bags, the marketers use a special tool to bring out samples of the grain which you will use to visually check the grains. Brown rice is rich in fibre, magnesium, vitamins B1, B3 and B6. Most of these nutrients are lost during milling which is the process that converts brown rice to the parboiled long-grain white rice we use in preparing Nigerian food recipes. Not to worry, Nigerian rice recipes are prepared with lots of ingredients rich in vitamins and minerals thereby regaining the 'lost' nutrients.